Faro de San Juan (Avilés) Oc.WR 5seg. 17M 40m. 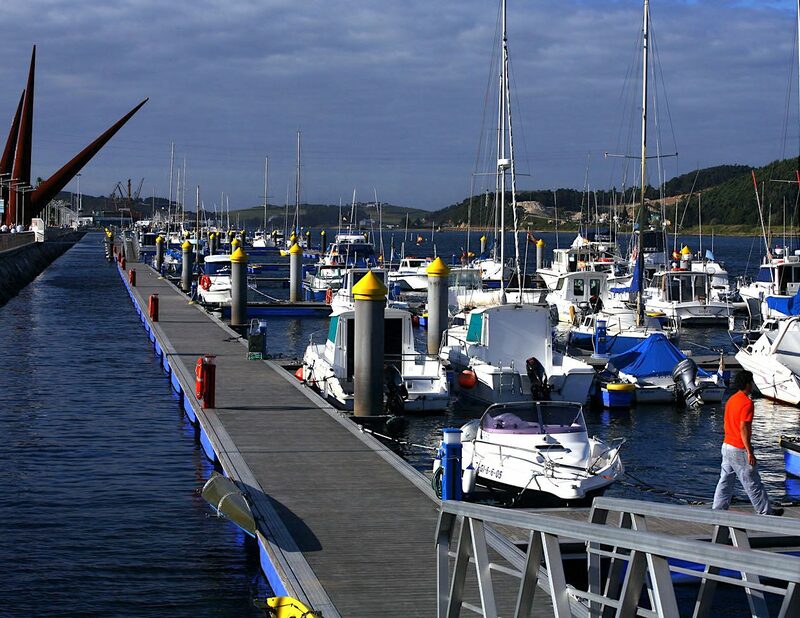 The Marina Avilés is probably one of the safest harbours of the Cantabrian sea, located inside of a deep estuary that gives you a refuge and protection out of the ordinary against any storm. Built inside the estuary in same area that it housed the primitive fishing port that gave rise to the town of Avilés, is today close to the city centre and the Oscar Niemeyer International Cultural Centre. 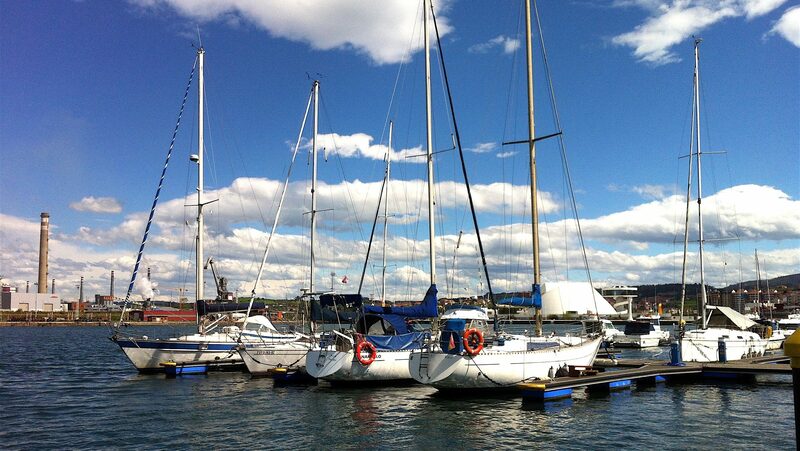 It is a privileged location that makes it the ideal place of mooring for boats in transit and craft base. 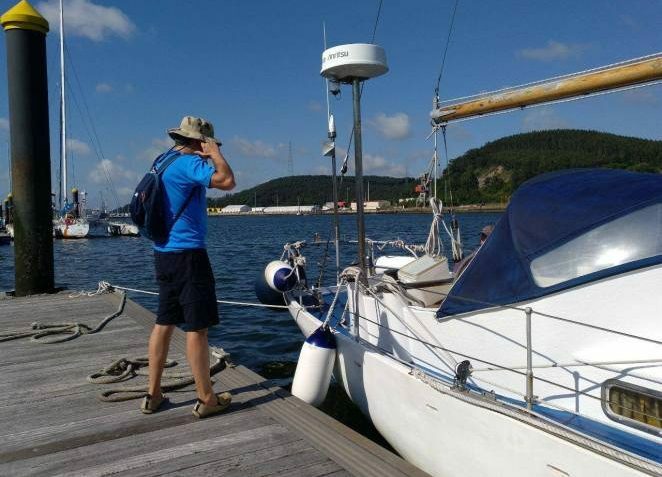 Even for international sailors who want to ‘hibernate’ their ships into safe harbor. The Nautical Club ‘Marina Aviles-la Peñona’ is a non-profit sports club founded in 2005 with the aim of bringing together all those lovers of the nautical wish to join in the enjoyment of this wonderful activities through the sport. 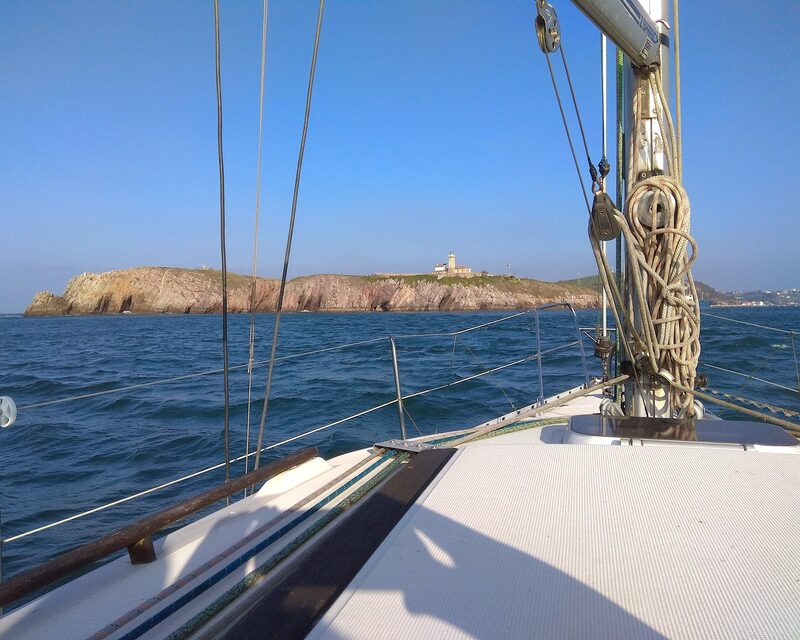 The Club programs a big quantity of events on sports, social and training activities during the year, as sailing, rowing and fishing championships and sailing races. We work providing classes in order to obtain the nautical certificates of navigation. The Club has 236 mooring points for boats that oscillate between 5 meters and 20 meters in length. It has a certain number of moorings reserved for boats in transit that go from the small lengths to the largest. There is also a service of ‘hibernation’ for boats. For more information, please phone us on +34 607 810 888. ‘San Juan’ Lighthouse (Avilés) Oc.WR 5sec. 17M 40m.